How Danfoss Thermostatic Radiator Valves Work. How TRVs work for you. 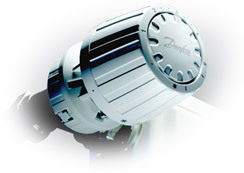 Improve comfort and lower heating costs with Danfoss TRVs. Danfoss introduced TRV technology in 1943. Since then, Danfoss has become the world leader in thermostatic radiator valves. Today, millions of TRVs are used all over the world, because they are an affordable way to improve comfort and lower heating costs. Our design uses an exclusive gas fill, which reacts faster to changing temperatures than other designs. The result: better heat distribution and greater energy savings. Easy to apply in any room. Your heating contractor can put a TRV on any number of radiators as required by your needs. This model is ideal for convectors and baseboards where the dial must be mounted away from the valve, due to enclosure design, piping, or convenience considerations. The remote sensor is placed beneath the radiation or on a draft-free wall. The desired control temperature is set by rotating the dial (sensor head) to the setting appropriate to the space—hallways, bedrooms, kitchens, living rooms can all be at a different temperature. It’s that easy! Installing a TRV is an easy plumbing job. TRVs still use the overall control of electric thermostats or other controls. TRVs control flow through individual radiators, but do not switch the boiler on or off. Various applications and furnishings require different installation techniques. Consult your heating contractor to learn more. See how easily a TRV can be installed by your home heating contractor. Copyright © 2019 Danfoss All Rights Reserved.